Way back in December, my honey and I stopped at the Treasure Chest thrift store near Saint Cloud on our way to his family’s Christmas party. 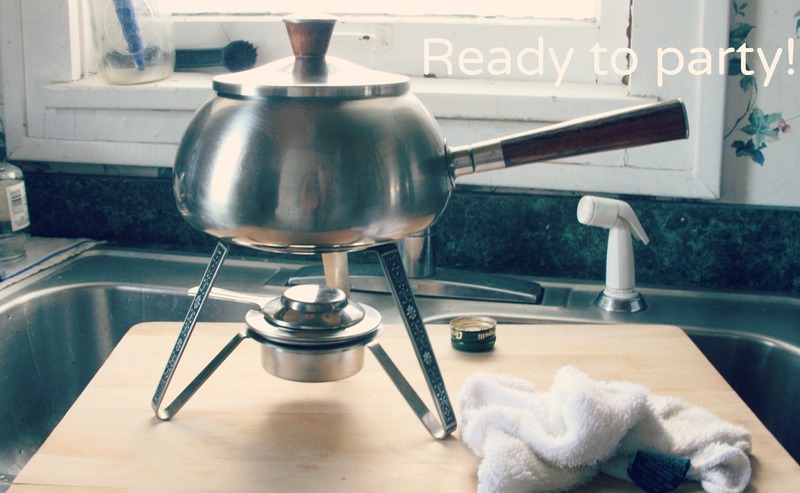 Everything in the store was half-off that weekend, including this fondue pot, which wound up coming home with me. Still in its original box, the poor thing was by no means beat-up, but still bore a few signs of use. In need of some advice on how to spruce it up, I turned to Google, and found this handy post on Apartment Therapy explaining how to use olive oil to polish stainless steel. 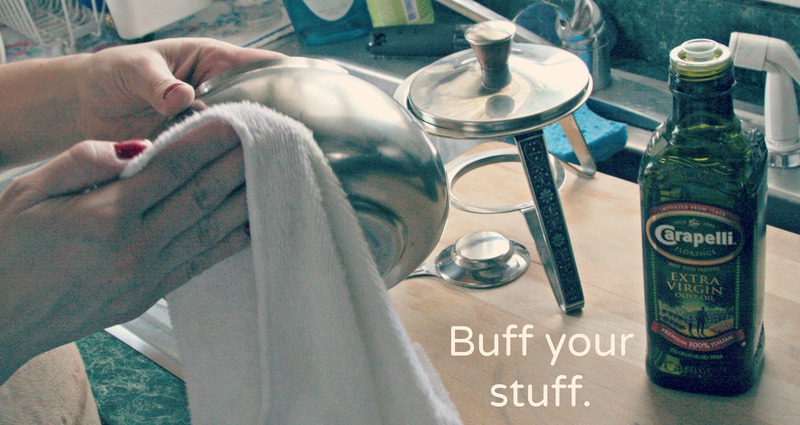 Intended to advise folks on how to buff their stainless appliances, I found it helpful too, for sprucing my fondue pot. I started out by giving it a thorough bath (minus the wooden handle and burner, of course). After all the pieces were dry, I followed the instructions on the Apartment Therapy post, using a clean, dry wash rag to buff a few teaspoons of oil on, flipping the rag midway through. 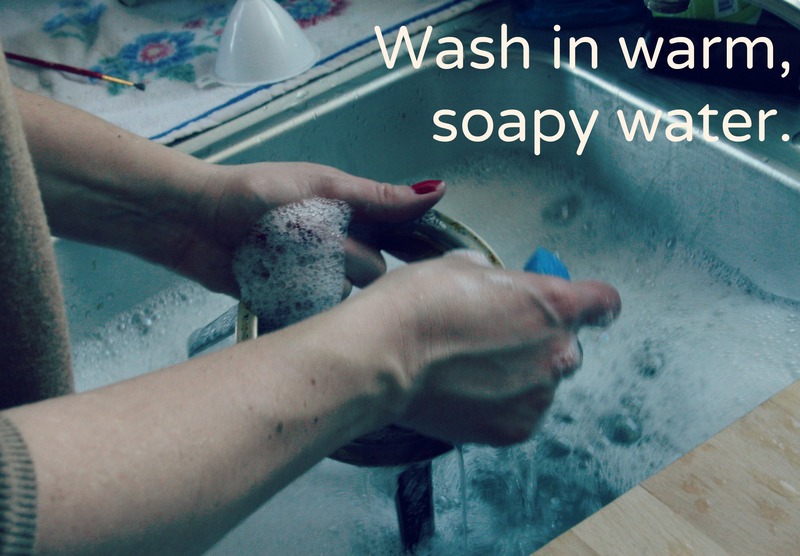 Elbow grease = essential. I’m so pleased with how clean and shiny it looks now. 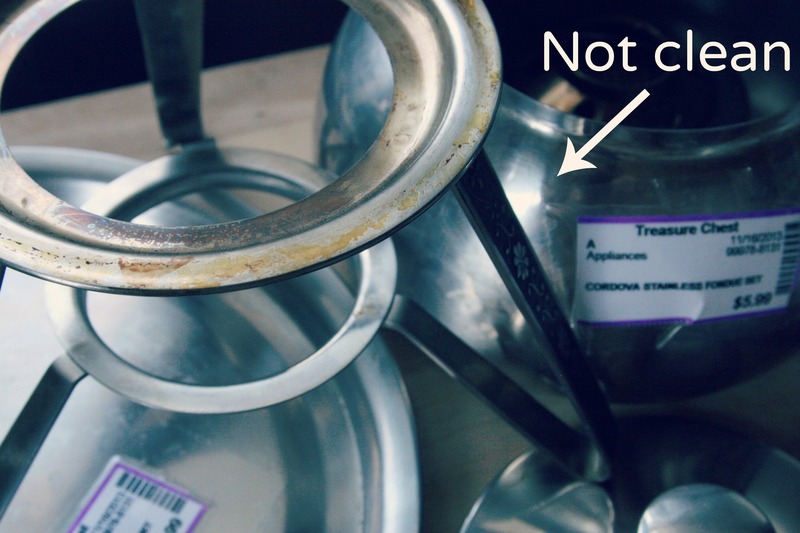 Do you have any tricks for getting your vintage stainless in tip-top shape? If so, do let me know how you do it in the comments! 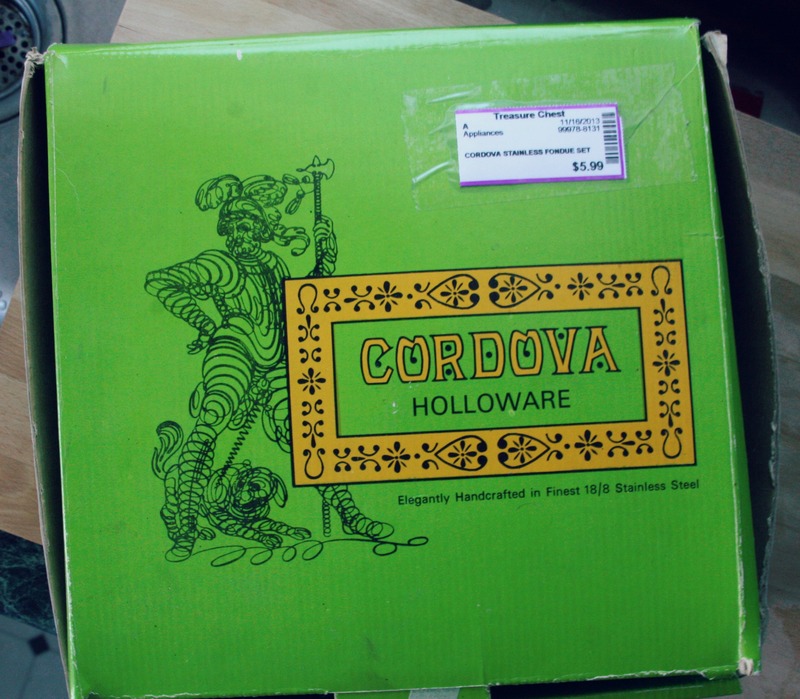 This entry was posted in How-Tos and tagged cordova holloware, how to, how to clean vintage stainless, treasure chest thrift store, vintage fondue set by highplainsthrifter. Bookmark the permalink. That’s a really good tip – thanks. I’ve got several Danish stainless steel dishes and trays I need to try this out on. I’ve used stainless steel cleaning powders like Barkeepers Friend but Im curious now to try your olive oil method.